This Verdure tapestry shows a river and forest scene based on the verdures of 17th century France. The scene contains a variety of foliage and flora leading to hills and a river, complete with an elaborate border featuring leaves and flowers. 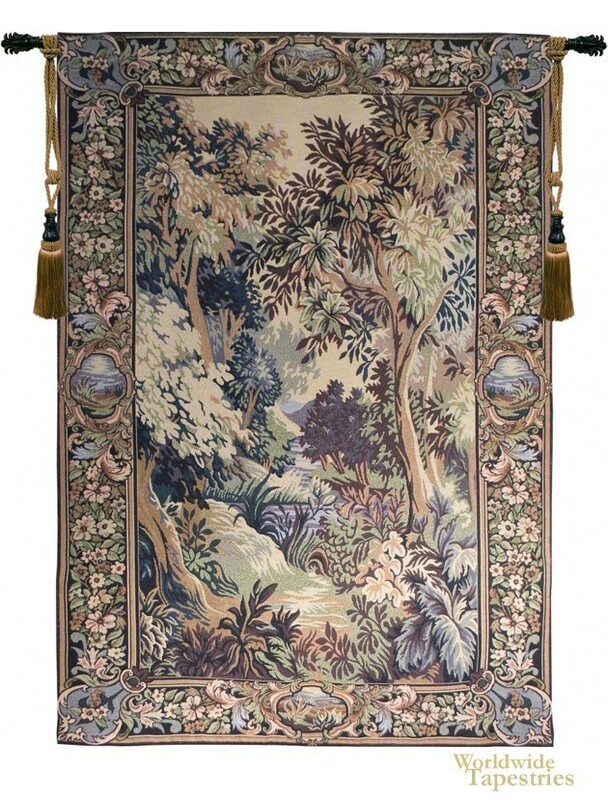 This Verdure landscape tapestry is backed with a lining and a tunnel for easy hanging. Note: tapestry rods and tassels, where pictured, are not included in the price.